Trevor Newton. 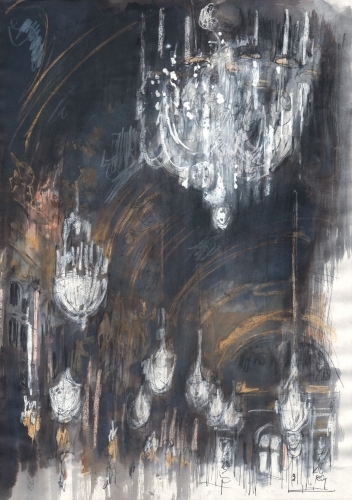 'The Hall of Mirrors II, Versailles'. .Mixed Media on Paper. 42.5 x 29.5 cms. Framed. £950.